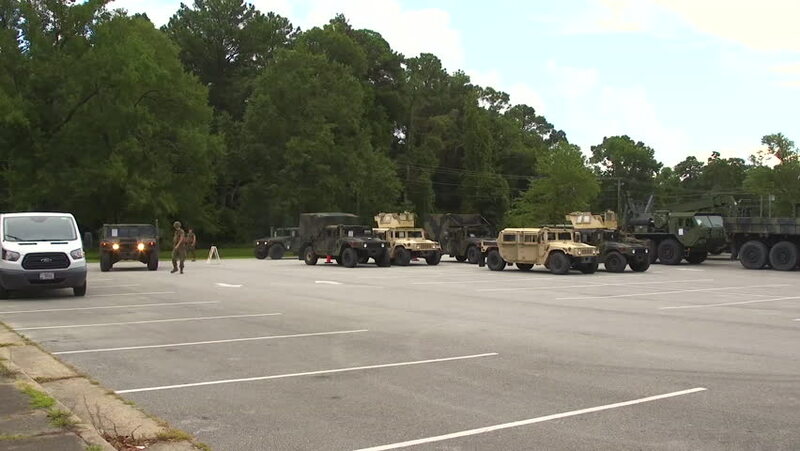 CIRCA 2018 - Marines at Camp Lejeune, North Carolina stage vehicles as they brace for the impact of Hurricane Florence. 4k00:34Estes Park, Colorado, USA-May 27, 2018-Time lapse. POV-Main street of typical small mountain town in America.